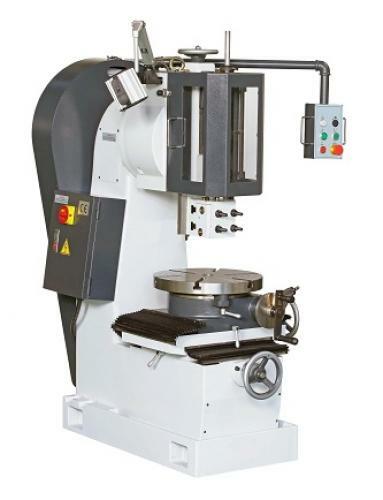 This machine is the ideal size for the average workshop and has been generously designed with this in mind. Castings are heavily ribbed internally giving perfect rigidity under maximum cutting conditions. The well proportioned slideways and table provide maximum rigidity. These two heavy duty sloting machines are sturdily constructed, the body being mounted on a large base giving maximum rigidity during heavy cutting conditions. The table may be swivelled in any position and the generous slideways give good support. The wide selection of speeds and feeds makes this machine and the large machines detailed below, the most versatile range on the market at the present time.